Has your well of writing inspiration run dry? In this article, I’ll share 8 unique topics you may want to cover in your LMS content marketing strategy. Content marketing helps build brand awareness and enhance your online reputation. Unfortunately, countless other LMS companies also know about these benefits and are using value-added content to strengthen their brand. As such, it may be difficult to find writing topics that haven’t already been covered countless times by your competitors. However, there are some ideas that are still fresh and ripe for the picking. Here are 8 creative and innovative content marketing topics to promote your LMS brand. Organizations want to know that they’re getting a good deal on an LMS. They also need to ensure that it won’t put them over budget or drain their precious resources. You can help them create a more accurate budget by posting a tips and tricks guide for buying an LMS. Of course, at the end you’ll include a call to action and links to your pricing plans. That way, they can see just how effective your platform is and how it will improve their online training ROI. Nobody likes to make mistakes, especially when they negatively impact the organization’s bottom line. Your content marketing guide or video can highlight the most common LMS implementation mistakes. Then take it a step further by offering tips to avoid them. Readers will be grateful that your insights and experience are helping them steer clear of costly pitfalls. So much, that they want to learn more about your LMS and how it can help them streamline the implementation process. Tell prospects everything they need to know to get the most from your free trial or demo. Such as which features to look for, who to involve in the process, and what questions they should ask. You can even include a checklist they can download and use when evaluating the platform. At the end, link to your free demo landing page so that they can sign up for a consultation. This is a broad category that can typically involve a countdown format. For example, 10 reasons why people switch to a new LMS, or top 8 reasons why online training courses fail to achieve their objectives. The goal is to help readers relate to the challenges outlined in the article or help them recognize the shortcomings of their current platform. For instance, it makes them realize their existing software is part of the problem instead of the solution. Hence, they are unable to achieve their sales goals and retain their top talent. This is your chance to showcase your unique selling points and features in a subtler way. Create a checklist of the top features, functions, or benefits that readers should consider when purchasing a new LMS. Briefly explain why each point on the list is important and tie it into real world applications. For example, ‘reporting and analytics’ helps them monitor employee engagement and training effectiveness. Therefore, they can improve their resource allocation and boost their staff satisfaction rates. This topic is a bit trickier to pull off, as you need to walk the fine line between self-promotion and full-fledged bragging. List the top reasons why organizations may want to invest in a new platform. In other words, the tell-tale signs that it’s time to purchase a replacement tool. Then explain why your Learning Management System is a viable option and how it can help them address their current pain points. It’s crucial to stay one step ahead of trends and read up on the latest technologies. Especially if you’re a business leader who wants to provide modern training resources to their workforce and outshine the competition. Offer actionable tips that eLearning professionals and organizations can use to keep up-to-date, even if they’re pressed for time. You can also create a series of articles or videos, with each episode highlighting a specific trend or tech advancement. Prospects want to know what they’re getting into and how your product can help them improve their profit margin. You can tell them all about the perks of ownership that people often overlook and how it relates to their business. For example, the gamification features can help them improve employee engagement and motivation. As well as stay on top of their compliance online training certifications, in that employees must complete the necessary online training to receive badges or virtual trophies. 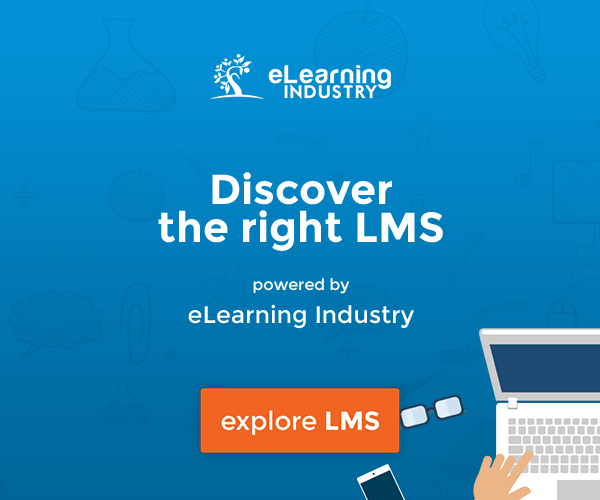 Of course, you should also provide specifics regarding your LMS, such as what your platform can offer their organization and the advantages of investing in your product instead of the competitors’. In addition to interesting topics and insightful tips, you also need to think of a captivating title for your article, video, or blog post. Ensure that it contains your target keyword and make it concise but catchy. Prospects are more likely to click on the link if it clearly states what the article is about and how it will benefit readers. For example, how it will help them cut their training costs and deploy resources more rapidly. These are just a handful of topics that you can cover in your content marketing strategy. 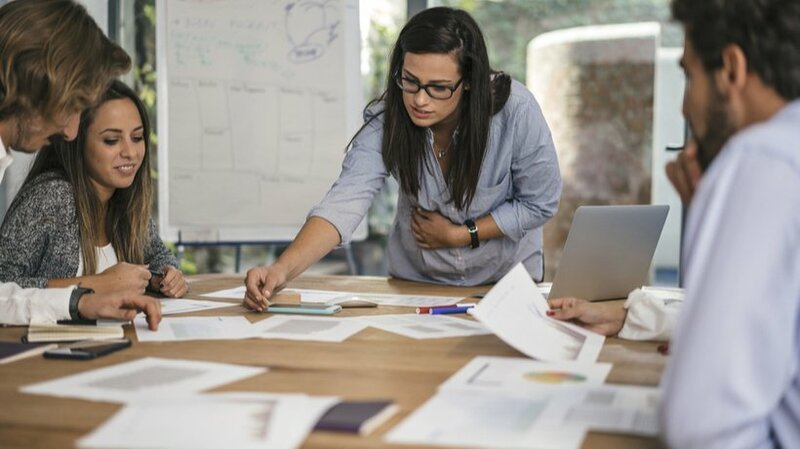 But you should also hold a brainstorming session with your team to get their input. Or reach out to your target audience through polls and surveys to see which topics they’d like to read about. Their feedback can help you identify fresh ideas that will increase site stats and online sales. Is it really possible to find new customers using online marketing methods? Can clickbait get your visitors to actually buy something and boost your conversion rates? Is a free-flowing funnel really the best approach to online marketing? What exactly is inbound marketing? Download our free eBook, The Ultimate Guide To A Winning Content Marketing Strategy, to find out what inbound marketing is, how to qualify leads and boost your conversion rates, how content marketing can help you generate B2B leads, how to determine KPIs and measure marketing success, how to take advantage of the SEO/SEM and Google Revenue Model, how to compare PPC vs. Content Marketing for the best ROI, as well as the impact of Account-based Marketing and Smarketing for your organization.